Dark Storm VR Missions Dark Storm: VR Missions, developed with UDK is a fully realized project that plays more like a single player game than a modest technical demo of mostly unfinished ideas and gameplay mechanics. Featuring hours of extensive training and combat courses, the VR Missions is fully voice acted, featuring large and challenging levels of progressive difficulties, exciting stealth gameplay, and 10 VR simulations that will test the players’ skills to their limits! We at Fenrir Studios believe that the Dark Storm: VR Missions are a necessary way to prove to potential backers that we are committed to this project, and are fully aware of our strengths and weaknesses moving forward with our launch title, Dark Storm: Ascension. 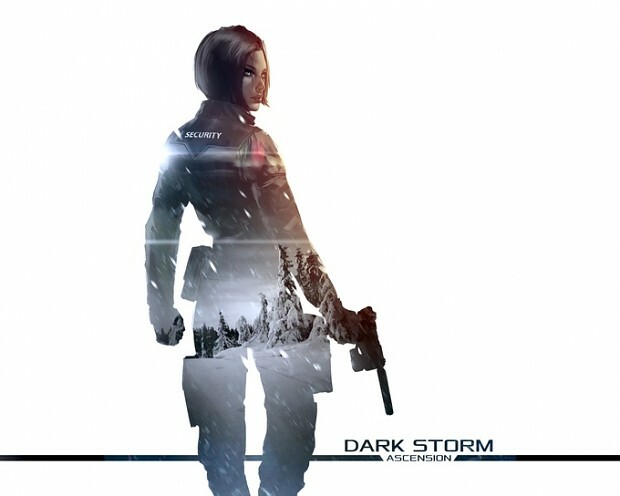 Dark Storm: VR Missions, developed with UDK is a fully realized project that plays more like a single player game than a modest technical demo of mostly unfinished ideas and gameplay mechanics. Featuring hours of extensive training and combat courses, the VR Missions is fully voice acted, featuring large and challenging levels of progressive difficulties, exciting stealth gameplay, and 10 VR simulations that will test the players’ skills to their limits! We at Fenrir Studios believe that the Dark Storm: VR Missions are a necessary way to prove to potential backers that we are committed to this project, and are fully aware of our strengths and weaknesses moving forward with our launch title, Dark Storm: Ascension. So basically you can't play without the VR ? No. The VR Does not refer to you needing a VR headset. It is because the start character is in a VR Simulator, just like the old Metal Gear VR Missions. Nope. The demo does not require VR glasses. It is just the title to the game. Is there a mac version for the demo?